Foot Locker Middle just posted in the Facebook page that they are giving Buy Get One on All Sale Items. 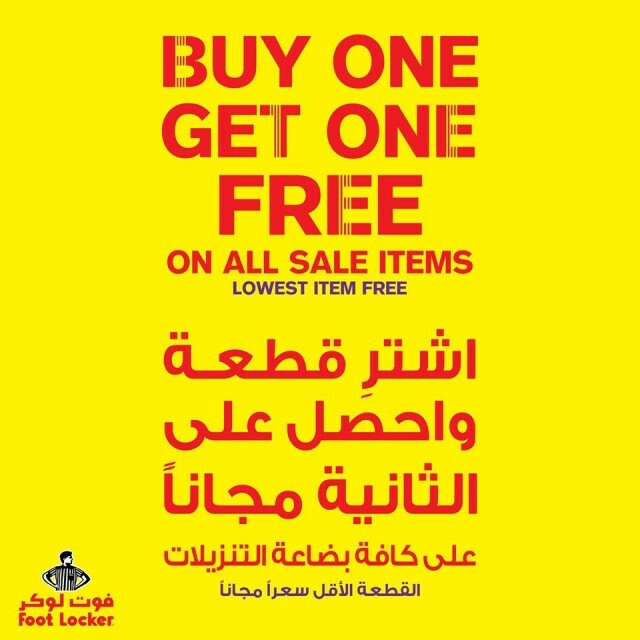 Buy One Get One Free on all SALE items at your nearest #FootLockerMiddleEast store. Foot Locker sell branded shoes like Nike, Adidas, Asics and many more.